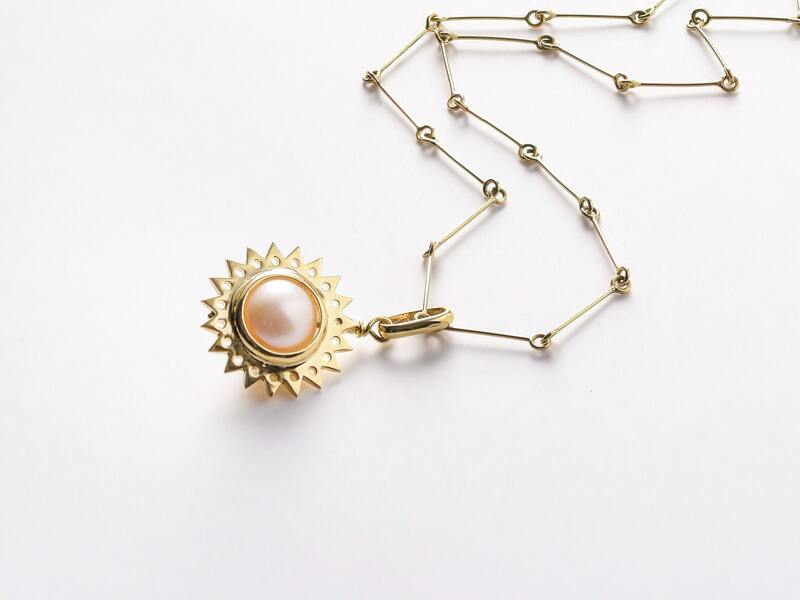 The ‘Enneadekaetiris’ charm pendant is crafted in 18K gold, hallmarked in Cyprus. 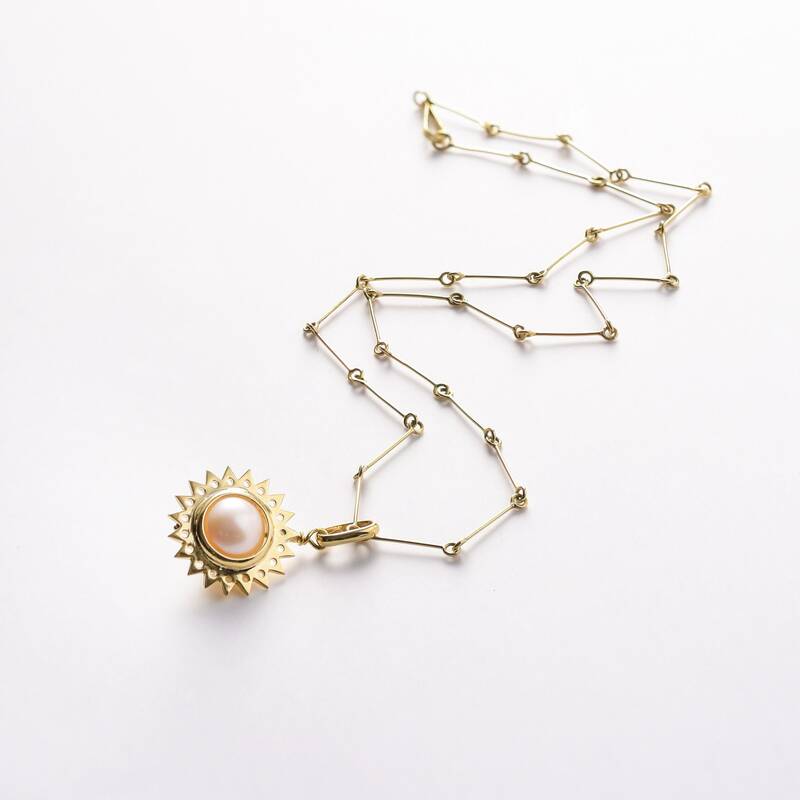 It comes in a highly polished finish and features a natural white fresh water pearl that spins around a central axis. This charm pendant is especially designed as a special gift for the new year 2019. Enneadekaetiris is derived from the Greek word ‘εννεαδεκαετηρίς’ meaning 19 years, referring to the nineteen year cycle of the moon. This, according to the Ancient Greek astronomer Methon, who made this observation, was the time span needed for the moon to return to the exact same spot amongst the stars, thus enabling the prediction of eclipses and all major events based on the Lunar calendar until today.